You are here: Home \ DIY Green \ Environment \ Going Green \ Science \ Festivals Go Green! “That really good now the environment won’t get much affected for sure! And more than that I will now celebrate with all enthusiasm!!! 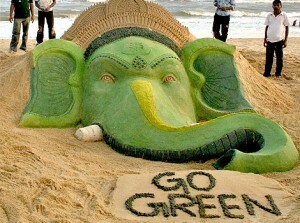 Ganesh Chathurti celebrated in most of part of maharahtra and several parts and region of India and abroad by Indians. In city like Mumbai, this Ganesha’s fest fills enthusiasm in the veins of Mumbaikars but on one side there is attack on environment! The bio-degradable waste called as ‘Nirmalya’,It is mostly composed of coconut shells . food items, flowers around 300 tonnes of total waste is generated. It was observed that every arriving year the quantity of waste is taking pace. The 300 tonnes raised to 430 metirc tonnes. For this many campaigns are launched by many NGOs, students and local volunteers to clean the garbage strangled all over Mumbai. 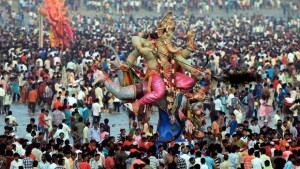 According to recent reports this Ganesh Ceremony generates now over 1500 tonnes of garbage on single day, apart from the regular garbage of 3500 tonnes. For government bodies it becomes herculean task for taking off the sludge from the water bodies. 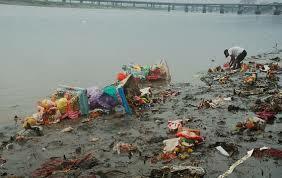 Often the toxins which are released by the garbage leaves the water body concentrated with toxins. 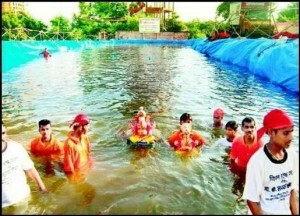 It was observed that just at Mumbai sea about 1.5 lakhs of idols are immersed and the oxygen level of the water body decreases by 50 percent. Although there are organisations working towards creating awareness about the benefit of using Eco-friendly idols and state governments do issue ‘guidelines’ about immersions, not much is happening on the ground. Although there are specially prepared tanks for immersions, people don’t prefer to use these, and few are interested in eco-friendly idols . For example, after a scientific study it was found on a body of water in Andhra Pradesh, the Hussainsagar Lake. After examining the water before and after immersion the scientists found that the concentration of substances like calcium, magnesium, molybdenum and silicon concentrations increased significantly. Also, it was found that concentrations of heavy metals like arsenic, lead and mercury had increased. 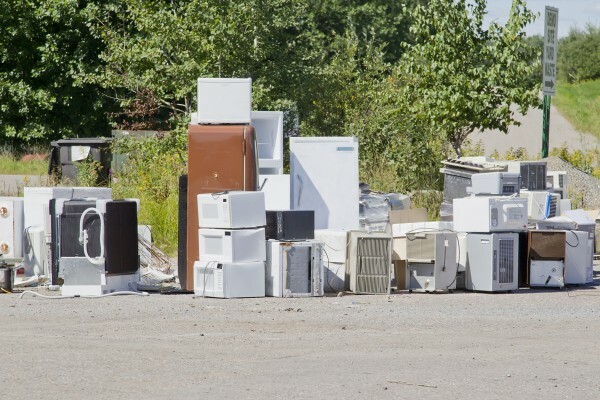 Metals like lead and mercury are particularly worrisome as they are dangerous to health and can damage the heart, kidneys, liver, circulatory system and central nervous system. Besides polluting the water, they reach humans via the food chain, when humans consume fish and other sea-food. If the fish survive that is! Because hundreds of fish are found dead after the immersions. There are no tough action taken by law as this issues often upset the public as this is a religious issue. Traditionally, we used mud idols and natural colors. Using POP idols is a modern invention which is nothing to do with a religion. No one is banning immersion. Or denouncing it. To put in place laws to make it compulsory to make idols out of an eco-friendly material should not hurt religious sentiment. All we will be doing is going back to the way the festival was traditionally celebrated. I wonder if it is a powerful lobby of businessmen and those in the trade of manufacturing and selling these poisonous idols who are making the politicians drag their feet on this one. Because in this case it is only the politicians who can help us – with laws. The dangers to flora and fauna because the idols don’t dissolve. They go to the river bed and affect the plant life. There is aggravting festivities all over and there is urgent need of folks to apply their environment education which was taught from school level to practical level. It is time to conserve and preserve our natural water bodies! The things you have to do is! -immerse the idol in artificial lakes or artificial water bodies. Immersion of non biodegradable waste is cancerous to the environment. And every person as civic responsibility should follow some norms to preserve environment.